This wedding was a beautiful holiday wedding filled with many holiday details. The bride and groom selected a private location that was filled with beautiful holiday decorations. 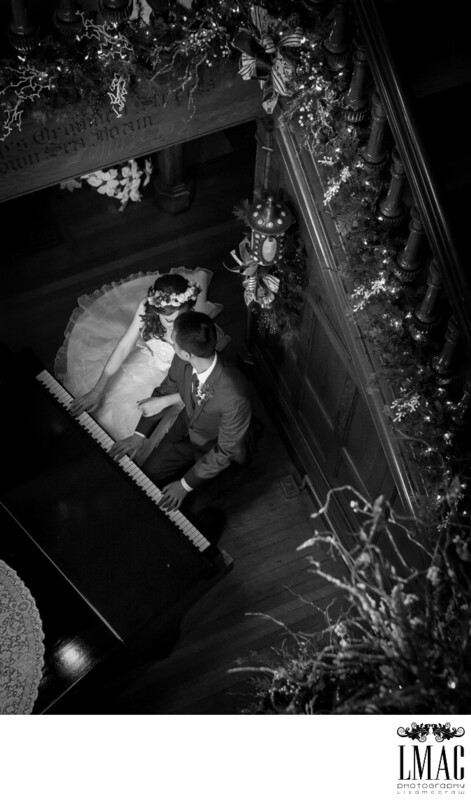 This location also had gorgeous wooden staircases, and many little rooms to take advantage of for the bride and groom photos. This location of this wedding was Canton, Ohio. The bride's dress featured a beautiful lace train and she wore a gorgeous flower crown.